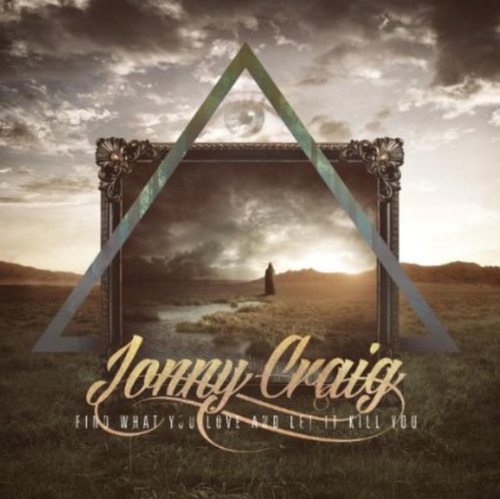 Jonny Craig’s rapidly changing career only continues to surprise listeners with his newest solo release “Find What You Love and Let it Kill You”. Fans have heard Craig from a range of many different genres and styles so this album will not be a hard adjustment to make although it strays from anything heavy. This is not a con, but just a warning of the changes. This album is very much an electronic pop album similar to something out of Justin Timberlake’s repertoire. This style perfectly fits with Craig’s voice, as demonstrated with the artist’s previous work. Catchy high-pitched melodies and even some rapping, these songs will most certainly refresh any listener looking for a new sound to catch on to. On the surface, this album can be calming and relieving when listened to casually. Songs like “Diamond” and “I Still Feel Her Pt. 5 (feat. Kyle Lucas)” support this relaxing atmosphere heard throughout most of the album. Craig’s voice will immediately pull you in and keep you interested in the start of the album. The electronics in the background create a great foundation for Craig to get his lyrical messages across. Ranging from life struggles to unrequited love, Jonny Craig represents the essence of the disappointment and frustration we have all felt during hard times. The melody lines and instrumentation create an impressive musical environment to match the lyrical content. With a solo album such as this one, this aspect of the writing strategy is immensely important. Everyone knows Jonny Craig can sing, but can his songs get the listener interested and more importantly, keep the listener entertained from start to finish. Well that seems to be just the problem with this album. The first couple songs of this album will pull you in and keep you enticed for the first few tracks,but after that the album becomes very monotonous in its overall atmosphere. Craig’s pure vocal skill can only hold out for so long before the creativity of the album is questioned. In the end, the album doesn’t quite hold up to the inevitable questioning. Some of the songs like “The Open Letter” and “Jesus Died For You…Not Me” seem to drag on and on without any particular direction. Although this is a solo album, Craig’s vocal skill and techniques seem to lose their initial excitement halfway through the album. The songs start to meld together and the fluidity of the album is lost before it’s over. Overall, the feel of this album is something that can be very refreshing at first listen. As a whole, the album lacks a driving structure. Songs repeat vocal phrases without structure and the direction of the songs and album are lost after the first 10-15mins. I’m not sure it’s right to expect a masterpiece from a solo vocalist, but this album lost its touch before it was over. I highly recommend checking out some of the songs as they are very unique for the genre or R&B style singing. But as an album, “Find What You Love and Let it Kill You” just falls short. Newer:Devin Townsend Project Announces Pre-order For 'The Retinal Circus'Older: Toronto Canada's own Wildheart releases debut single "Gone"